Poster of the periodic table with some illustrations and explanations for kids. Check out this previous post with a New Visualization of the Periodic Table and see the link in the comment to another variation. These are some well engineering scissors with all sorts of handy features. Fiskars makes some great products. High-quality blades provide excellent cutting performance on a wide variety of materials. Large, ergonomically sculpted finger and thumb loops provide excellent comfort and control when cutting. Additional features include a power notch for cutting light rope, wire cutter, twine cutter, pointed awl tip and bottle opener. You can even take the scissors apart and use the titanium-coated blade as a knife. It’s dishwasher safe and includes an innovative sheath with a built-in tape cutter and a ceramic scissors sharpener to keep the blades performing at their best. Ergonomically sculpted handles provide comfortable use and cutting control. Power notch cuts light rope. Wire cutter makes cutting wire without damaging the blades quick and easy. A pointed awl tip is perfect for piercing small holes in cardboard, leather and more. Bottle opener makes it easy to open bottles. Take-apart design offers a titanium-coated knife that is three times harder than steel for general cutting needs. Dishwasher safe for easy cleaning. The sheath protects blades, sharpens scissors and includes a tape cutter for opening boxes. The Droid Incredible really is a great gadget. 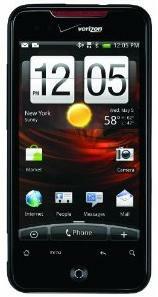 I am too cheap to get it but if I were to use a cell phone much I think this is the one I would get. I personally prefer more open software like Android (which the Droid Incredible uses) to Apple (though Apple’s user experience is great, I admit). The Droid Incredible by HTC features a body design that measures 4.63 x 2.3 x 0.47 inches (HxWxD), making it easy to slip into your pocket. A large, 3.7-inch HD screen with 480×800 resolution graces the front of the device. The responsive OLED touch screen features rich colors and is easy to use. With a 1 GHz Snapdragon processor, 512 MB of RAM, and 8 GB of internal flash memory, the Droid Incredible delivers incredible performance, letting you run multiple applications. It includes an 8-megapixel camera with auto focus and 2x power LED flash, and also Google Maps Navigation, which provides GPS-based turn-by-turn voice guidance to get you where you need to go. photo of blue colored bubble. Having solved the colored bubble dilemma, we spent most of 2006 trying to refine our dyes and the manufacturing process. We had invented several completely new dyes and a few derivatives of existing dyes. But the manufacturing process was long, tedious and expensive. It took three days just to make a few grams of each dye. It quickly became apparent that we needed to radically streamline the production process in order to have a viable product. The complexities of the chemistry resembled a pharmaceutical more than a toy. So I enlisted the help of Gary Willingham, and the Belgium development team, at Fisher Scientific. Fisher is a pharmaceutical chemical manufacturer with the equipment and expertise needed to manufacture tons of our dyes. Due to the complexities of the chemistry, Jamm decided to stay close to the production process and manufacture Zubbles in the US. The first bottles rolled off the line this week. Jamm presented me with the very first case of Zubbles. And it was a very strange feeling to finally hold the product in my hand—15 years after I mixed my first batch of dishwashing detergent and food coloring. Being an entrepreneur is a challenge any time. When your product requires complex science and engineering that adds additional challenges. It is great to see this product is now available.